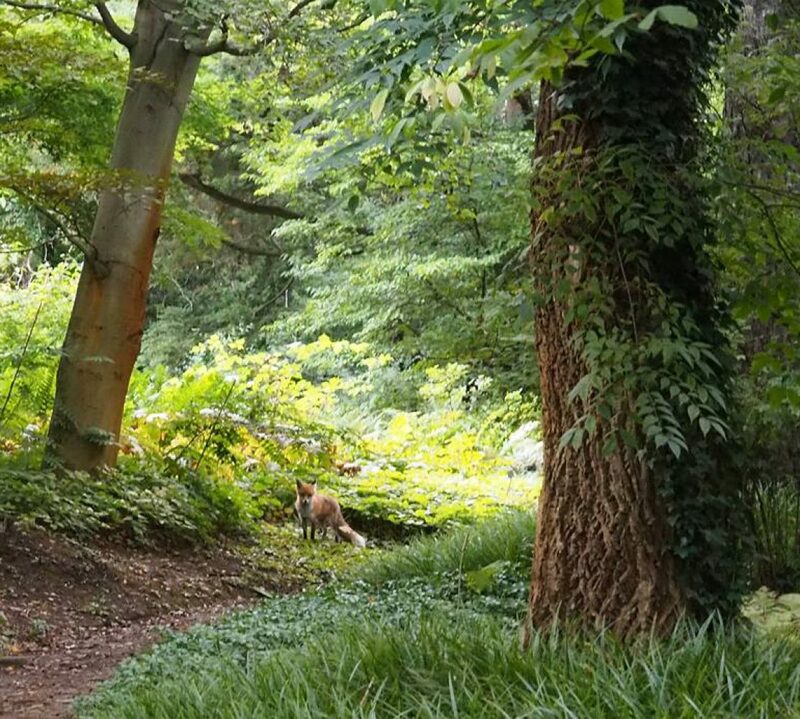 This week a heatwave struck Europe, and the summer we had been longing for suddenly struck full force! We’d booked tickets in advance to go and visit my uncle and aunt who were on a three week holiday by the Baltic sea (Ostsee) in Boltenhagen, but had a three hour travail trying to catch the train out of Berlin because so many people had flooded to the station to escape to the coast that we could not get on the train with our bicycles. 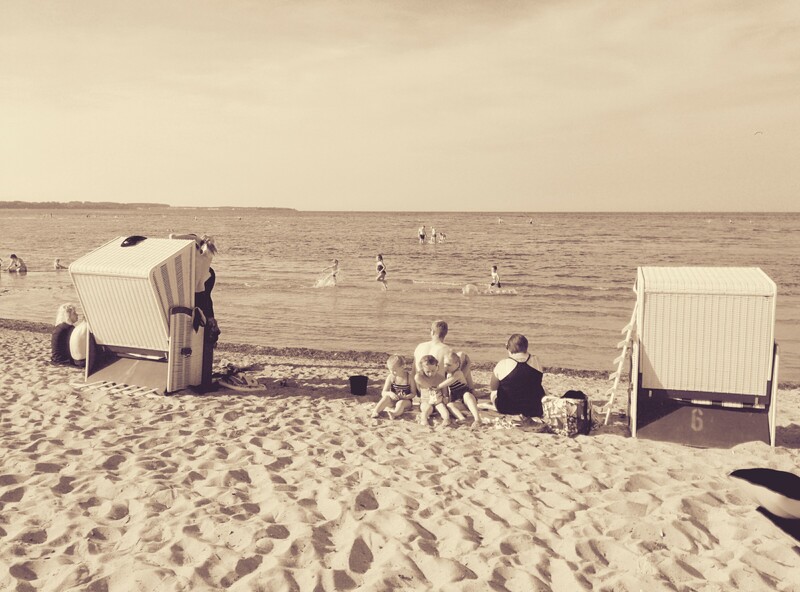 However, after a long wait and a detour, we finally made it to the coast and countryside of the Bundesland (province) Mecklenburg-Vorpommern and enjoyed a weekend there catching up with family, cycling, swimming and walking around. More about that later, but in the meanwhile here are a few of the highlights of the week. 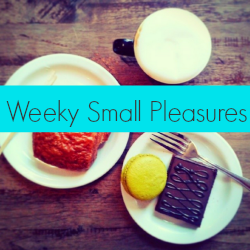 Join the blog event Weekly Small Pleasures to share your own! 1) It’s been drier than usual for this time of year, in fact, many farms in Brandenburg have been suffering from lack of rain. In Czech, the rivers are also very low at the moment. During the weekend after the extremely high temperatures there were thunderstorms both Saturday and Sunday evening, so at least that brought some rain. I’m not sure if it was just a coincidence or if it was related to the dryness and then the two weeks of cool weather we had before the heat, but I found a beautiful leaf in Berlin last Monday morning – maybe from a confused tree! 2) A friend organized a BBQ in the park on Thursday evening. It was so relaxing to spend a summer’s night outdoors that it felt almost like a Friday. 3) On Friday we went to Prater biergarten with some friends. i really like it there – it’s full so it has a good atmosphere but there always seems to be somewhere to sit. My friend B and I both had a classic Berlin drink: Berliner Weisse (wheat beer) mixed with red (raspberry) or green (Waldmeister) syrup. It’s great and refreshing for those who prefer something sweet to a more bitter beer! 4) The strawberries on our balcony are still yielding fruit! 5) I didn’t know this before I moved to Berlin, but there is a big Turkish community here. In many neighbourhoods you can find shops selling delicious Turkish sweets, including baklava. I don’t know the names of all of the different varieties, but they are all variants of sweet pastries containing nuts such as pistachio or walnuts. 6) And to the seaside! About 4 hours from Berlin on the train, but so worth it. I love berliner weisse! I love baklava too. Yum! Here in the US, everything seems to be drier than usual too. Interesting that it is dry there too…Have a nice week!